It takes more than one person or team to realize a successful music career. That’s why Eleven partners with other music resources when and where it makes sense. GigDog is an Entertainment/Promotion company that uses a streaming internet radio station to only play music of bands scheduled to perform in the local area within the next few weeks. This is an excellent way for unknown or up-and-coming bands to gain a following and build awareness, at the same time giving music lovers access to music being played in local venues that they will be able to support. Nick Venturella brands, including Nick Venturella Music and GrowLoop, are creative solutions to help you present the best version of yourself. Octave Media is a digital marketing agency that helps musical instrument, pro audio and event technology retailers and brands focus on and develop better relationships with their customers. Behind the Backline is the podcast where we dig into the stories behind our favorite backline gear and talk with professionals in the musical instrument, pro audio and event technology industry. The Monona East Side Business Alliance is a 501(c)6 private, not for profit, business collective comprised of approximately 400 businesses, civic organizations, and educational institutions. Our mission is to promote and foster an environment that attracts, supports and retains private-sector jobs, spurs economic vitality and enables quality educational opportunities for the area while always promoting and encouraging engagement with our members. 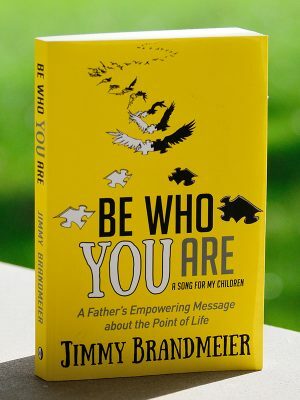 Be Who You Are: A Song For My Children is a book by Jimmy Brandmeier. Brandmeier’s deep-rooted music industry experience combined, with his passion for guiding students in music and life, make him a different, and inspiring teacher. His credo is simple, empowering and rare; be who you are—inside and out—no matter what, no matter how far!